Several things happened over the weekend. First, all the snow vanished from my front yard in 50-degree temperatures; part of one of the earliest spring melts ever recorded. Second, the famous Alaska Summer Showcase happened at the Alaska Native Heritage Center in Anchorage. One is slightly disturbing (albeit delightful while in the moment of sunny weather); one is slightly chaotic yet critical for anyone planning a summer vacation around the Last Frontier. I had the chance to wander among the booths of enthusiastic tour operators and activity suppliers, and caught up with a few of my favorites to hear about 2019 products and specials, some of which were only available to those in attendance — OR — to intrepid inquisitors like me, on your behalf. So if you missed the Alaska Summer Showcase, take heart; I have some deals for you. Read on, and get out there. Alaska Railroad: AKRR is offering a whole new slate of unique packages that encompass all of its 470 miles of track, traveled in sections. 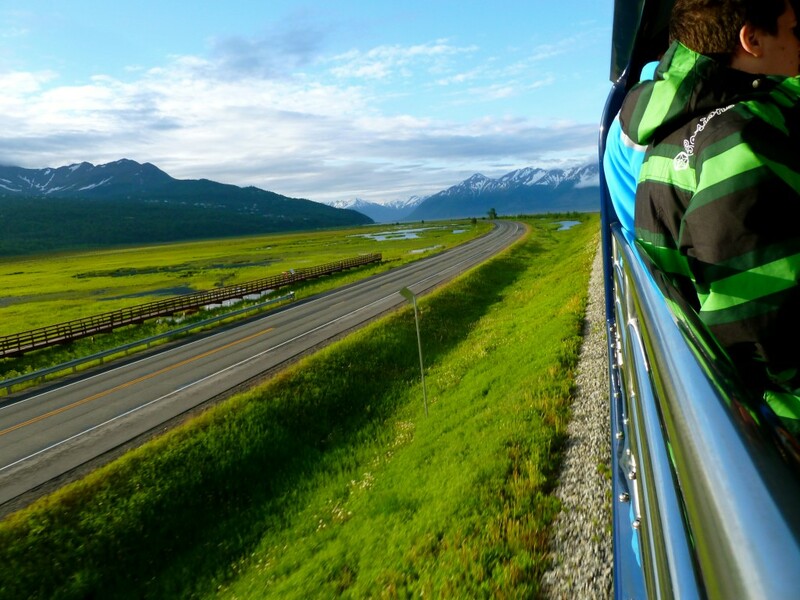 Want to see Alaska by rail, or perhaps, just one particular stretch? These packages are for you, ranging from basic to extravagant. 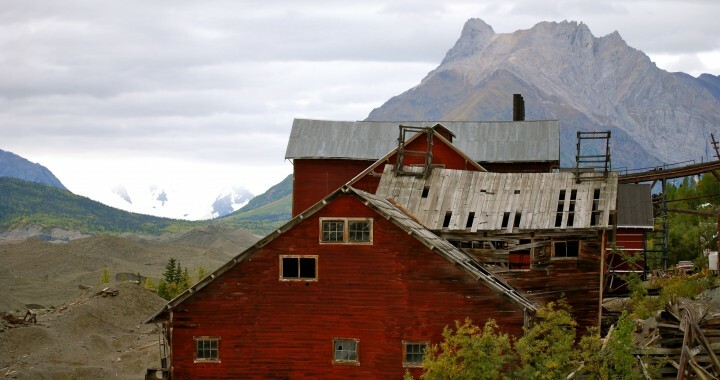 The Summer Showcase provided a perfect platform for launching these tours, and whether you’re looking for a north-south excursion or just a Denali National Park getaway, there’s something for everyone. Rail tours begin in mid-May and run through early September. Princess Alaska will celebrate one year of their Master Treehouse-built cabin in the trees in 2019, and I’m going to check it out during a road trip in June. Why do I care? I love trees, and treehouses, and views, and McKinley Princess Lodge boasts the closest, BEST view of the mountain of any lodging property near the park. And to hang out in a treehouse and enjoy said view? No brainer. If you book a two-night stay in May or June, there’s a 50% off your second night special, too. Take the kids, enjoy the trails, the playground, the deck…You won’t be sorry. North Shore Cyclery in Talkeetna is gearing up for another awesome summer of pedal-powered adventure, with rentals of vintage and mountain bikes to fit the whole family. Plus, owner Shawn Thelen will also throw in a guided experience if you want to get out a bit further than the village’s popular bike trails and pathways. I’m in the market for a new bike, myself, and I will drive the 2.5 hours north of Anchorage to purchase one from North Shore; they’re that good. 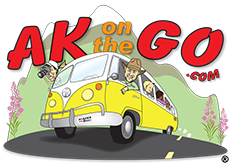 And hey– look for a discussion with Shawn on an upcoming Alaska On the Go Podcast episode, when we go on the road! The Mat-Su Convention and Visitors Bureau (the “Yahoo-Matsu” people) have a new campaign for anyone who signs up for their monthly email newsletter. It’s a great synopsis of events, activities, and suggestions that will help you plan even if you’ve lived in Alaska your whole life. Plus, you’ll be entered to win a $150 REI gift card! And while you’re out there having fun from Sheep Mountain to Denali State Park, why not tag your social media posts with #yahoomatsu AND #howdoumatsu? You never know – your image could be featured. The Knik River Lodge is located above the Knik River, nestled at the end of one of the most scenic roadways in Southcentral Alaska. With 22 cozy cabins and an included breakfast with each overnight stay, it’s a lovely way to make a quick getaway from Anchorage. The lodge also offers the other daily meals as well, with local ingredients and a local menu, and I’ll be honest that I’m dialing them up this afternoon so I can find a spot before summer jumps into full swing. Farther east and a bit south is enormous Wrangell-St. Elias National Park, and the historic communities of McCarthy-Kennecott. 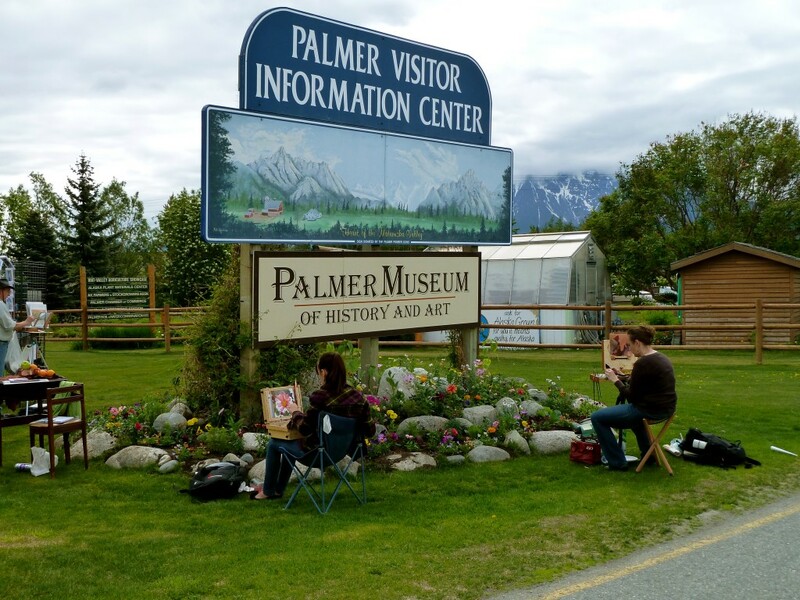 I’ve written about the area several times, as each occasion to visit yields a new discovery in this jewel of Alaska. Kennicott Glacier Lodge (if you still don’t know why the same place is spelled two different ways, you better go back and read my previous stories) is, of course, our favorite place to lay our heads while visiting the area, and right now, prospective guests can book a room in the main lodge for as low as $99/night. HUGE savings, folks. ProTip: My favorite season to visit is late summer, near Labor Day. The colors are stunning and the bugs, on their way out. Book HERE. Important: Use promo code Summer Showcase 19. Phillips Cruises and Tours guests approach Blackstone Glacier on a sunny day cruise. The 2019 Alaska Summer Showcase special is available through April 10. Image courtesy Phillips Cruises and Tours. 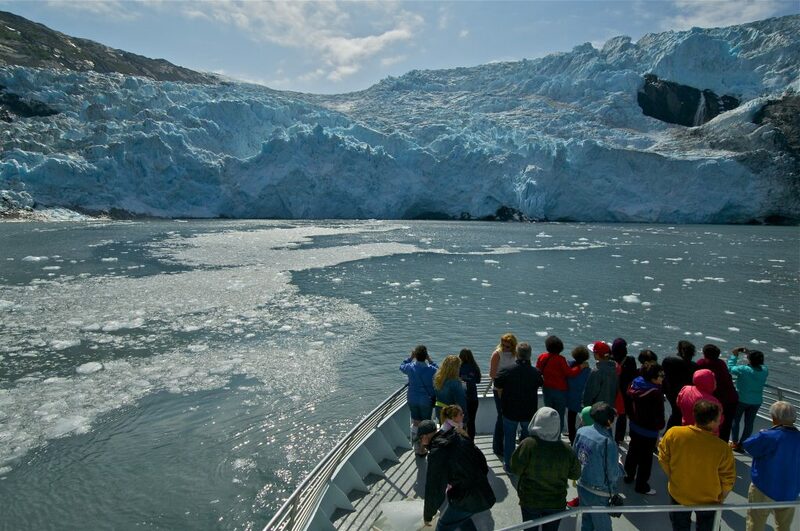 It’s whale-watching season across coastal Alaska, and Whittier-based Phillips Cruises and Tours has a $50-off special running right now for their popular 26 Glacier Tour. The hitch? You must book by April 10, 2019 (but it’s easy to change your dates should need to). You’ll be able to travel any Sunday through Thursday, May 5 – October 3, 2019. Look for smooth sailing with a catamaran vessel, a delicious hot lunch, and a U.S. Forest Service ranger onboard to provide commentary and interesting information about Prince William Sound and the Chugach National Forest. Book HERE. Posted in General Travel Info, Good Deals and tagged Alaska, Alaska Farm Tours, Alaska Railroad, Alaska Summer Showcase, Alaska with Kids, Anchorage, Family Travel, Kenai Fjords Tours, Kennicott Glacier Lodge, Knik River Lodge, MatSu Valley, Phillips Cruises and Tours, Princess Cruises and Tours, Seward, Visit Anchorage.